I feel that part of the magic of being with dolphins and whales is that the encounter helps us feel the divinity within us all. Through being in their presence, we spontaneously experience our own eternal essence. I invite you to breath deep as you watch this video! 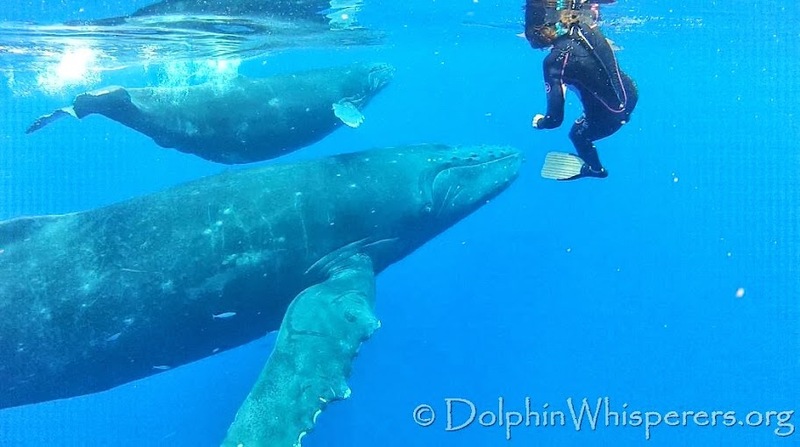 Most winters I’m in Maui and lead a couple kayak trips to be with the whales in January and February, sometimes as early as December and as late as March. If you feel the desire to join us and be with them in a joyful, exuberant and respectful way, contact me. I promise you the experience of a lifetime! Thank you for sharing moments unforgettable. Such beautiful resonance and respect. And the music keeps playing long after the video stops.